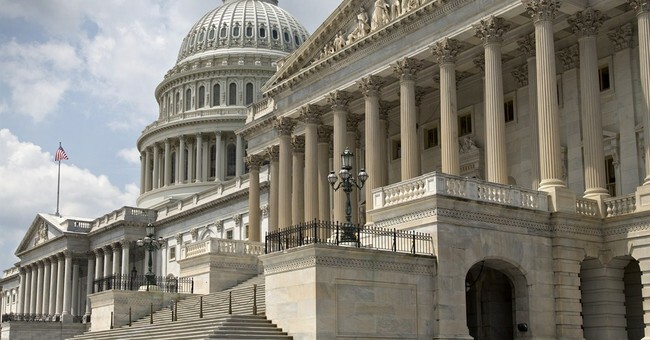 As this session of the 113th Congress draws to a merciful close, much of the punditry has picked up on the refrain that this is the “most unproductive Congress in history.” Indeed, this Congress has passed just 28 bills, easily eclipsing the previous record for inactivity set by Congress in 2012, when it passed just 68 new laws. But why, we might ask, is this such a bad thing? Sure, there are things we might have wished Congress had accomplished. Something to address immigration or entitlement reform springs to mind. And it certainly would have produced less chaos if Congress had actually managed to pass annual appropriations bills instead of cramming all spending into the usual last-minute continuing resolution. But there is a presumption behind such handwringing that we really need Congress to be even more involved in our lives than it is. Consider the laundry list of new programs that President Obama introduced in his State of the Union address back in January: early-childhood education, green energy, more economic stimulus, a higher minimum wage, and so on. Would we really have been better off if those things had passed? We already face a record $17.2 trillion national debt. Should Congress have spent even more money? Federal spending now consumes more than a fifth of all the goods and services produced in this country over the course of a year. According the Congressional Budget Office, unless there is a drastic change in our current policies, we are on course for the federal government to consume more than 40 percent of GDP by mid century. Government payouts now account for more than a third of all wages and salaries in the United States. We pay subsidies to everyone from farmers to solar-panel manufacturers. If one includes government employees’ salaries, more than half of Americans receive a substantial portion of their income from the government. Meanwhile, the federal government issued 3,148 new rules and regulations this year. The Federal Register now runs to 77,759 pages, the fifth most of all time. Nearly every product we buy and everything we do is regulated by the federal government in some way. Government tells us everything from what charities we can support to what light bulbs we can install. And the result of all this productivity has been what, exactly? Can anyone name a major government program since the GI Bill that actually works? Since 1965, when we started the War on Poverty, the government has spent over $15 trillion fighting poverty, yet we’ve done little more than create a permanent underclass. We spend more every year on education, yet test scores and dropout rates fail to improve. Programs such as Social Security and Medicare are careening toward bankruptcy and threatening to take the country along with them. Government guarantees and lending mandates helped precipitate the housing crisis and the recession that followed. Indeed, most of what government has done actually makes matters worse. Just look at Obamacare: With just one piece of productivity, we have a law that drives up health-care costs, makes it harder for people to see the doctor of their choice, kills jobs, and still fails to provide anything close to universal coverage. This article appeared in National Review (Online) on December 11, 2013.